Two Bit Circus Showcases the Future of Fun | meetL.A. One of the newest additions to Downtown Los Angeles, Two Bit Circus is an entertainment company propelling its space into the future. 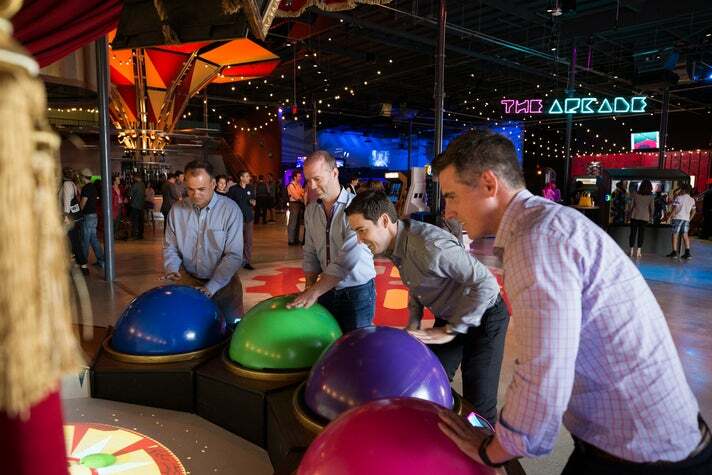 This social play space combines everything from carnival and arcade games to virtual reality, robot bartenders, and giant Lite Brites in a team-oriented environment. With a footprint of 38,000 square feet, they aim to inspire, engage and reinvent the way people play. The Midway space is the launch point for games and activities. Each game in this zone requires physical exertion, whether it be shooting, swinging, tossing, rolling or sorting. Each experience is easy to learn and encourages both competition and collaboration. This is the perfect place to get your attendees’ blood flowing before moving through the rest of the facility. Virtual reality (VR) technology has been around for years, but it has undergone significant upgrades in the past few years. Two Bit Circus offers its Arena space with a variety of virtual reality situations that single or multiplayers can jump right into. 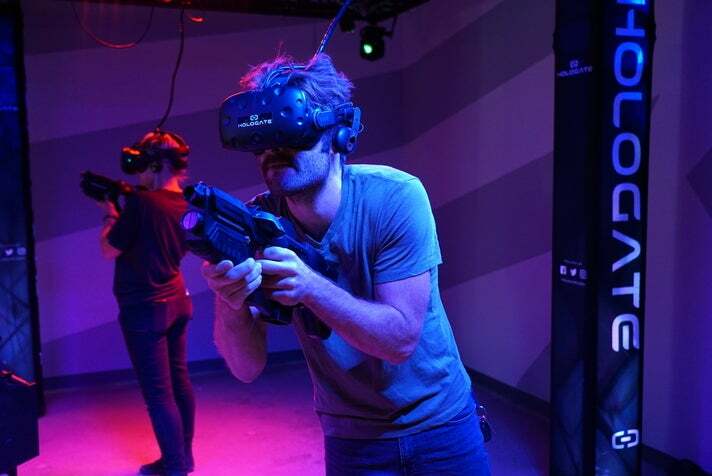 Similarly, they offer four virtual reality cabanas, with an opportunity for one person at a time to use the VR headset to transport to a different world. This is ideal for small groups to break away from the large crowds and spend time socializing as their coworkers take turns exploring new realms. With over 28 diverse experiences, every person can enjoy a novel experience! The interactive theater, Club 01, serves as the main spot for group events and teamwork. With 92 seats, 23 tables, and 1700 square feet of open space, there is room for everyone to play a part. 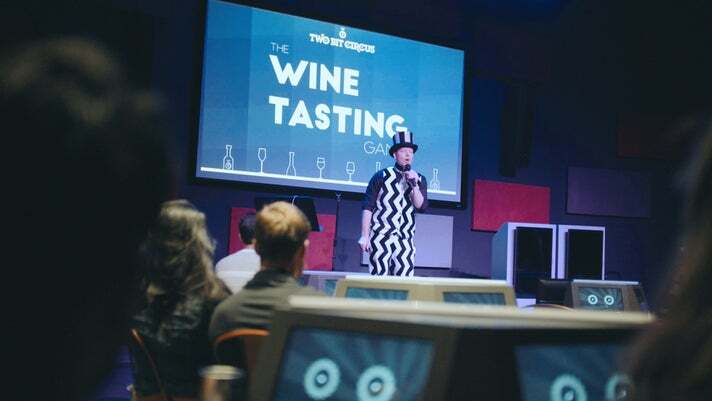 The facilitators provided by Two Bit Circus can involve the whole room or highlight specific tables and individuals as they participate via tabletop touch screens. This reimagined game show vibe is something your party will not want to miss. 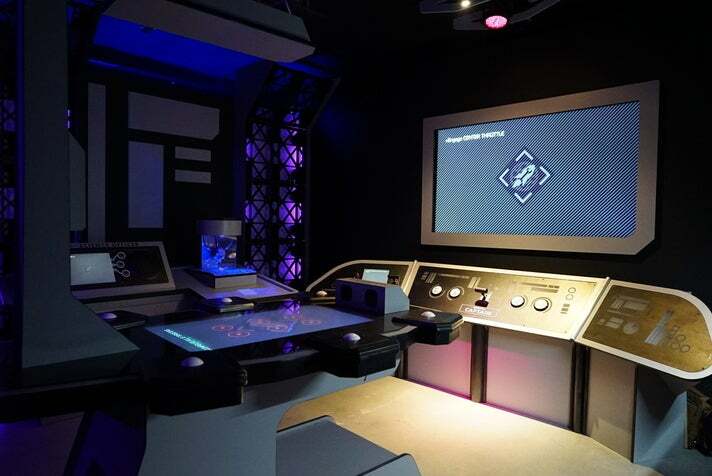 Escape rooms have been all the rage but you've never seen ones like these. Two Bit Circus offers story rooms that create an immersive environment and encourage collaboration around a team goal. In 30 minutes, members of the team follow narratives and clues, ranging from finding treasure in a lost city to a spaceship hurdling towards earth. The atmosphere shows guests how to unite behind each of their strengths and use team-building to solve the puzzle before the time expires. 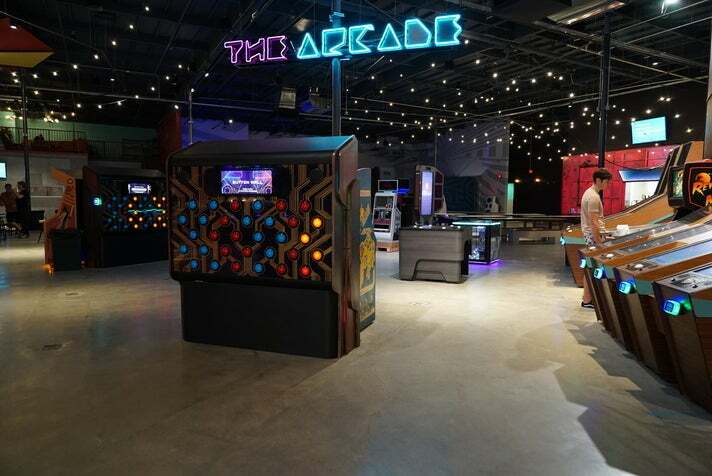 The Arcade brings together classic video game culture using sight and sound. More than 14 options offer solo play as well as score-driven games, allowing the more competitive people in your group to get into the spirit of the day. Not only do they organize turnkey events, but Two Bit Circus has strong corporate social responsibility. They provide eligible students with access to STEAM education and workshops, allowing them to gain hands on experience in a lab and teaching them the uses of consumable classroom materials. Through their teacher professional development program, they train educators to promote environmental stewardship within the next generation. Finally, they host events and carnivals to further advance the Two Bit Foundation and attract attention to the growing need for STEAM knowledge. If your company is looking to give back, learn more here. 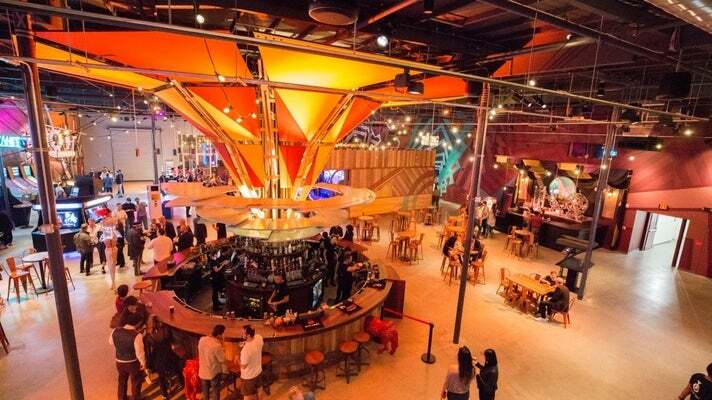 If your event chooses a full buyout of the venue, up to 750 guests would have private access to the Midway, the Arcade, the VR Arena, the Club 01 Theater, and their VR Cabanas. Your attendees would also have access to 4 lounge areas, including a VIP Lounge overlooking the park with 2 private bars, a conference room with full AV capabilities, and a private parking lot with 60 spaces. For more information on their group rates, contact shari@twobitcircus.com.